Nationality: American. Born: Ogden, Utah, 1932. Education: Attended Utah State University. Career: Mimeographer in Universal script department, Los Angeles, 1950–51; worked at Republic studios, becoming assistant editor, 1950s; became full editor, 1963; directed first feature, The Landlord , 1970. Awards: Oscar for Best Editing, for In the Heat of the Night , 1967. Died: In Los Angeles, 27 December 1988. "Breaking out of the Cutting Room," in Action (Los Angeles), September/October 1970. Interview with L. Salvato and D. Schaefer, in Millimeter (New York), October 1976. "David Carradine and Hal Ashby on Bound for Glory ," interview with C. Amata, in Focus on Film (London), no. 27, 1977. "Positive Thinking: Hal Ashby," interview with R. Appelbaum, in Films and Filming (London), July 1978. "Dialogue on Film: Hal Ashby," in American Film (Washington, D.C.), May 1980. Tuska, Jon, editor, Close-Up: The Contemporary Director , Metuchen, New Jersey, 1981. Jöergensen, U., "Hal Ashby—en auteur?" in Kosmorama (Copenhagen), September 1974. Harmetz, A., "Gambling on a Film about the Great Depression," in New York Times , 5 December 1976. Jacobs, Diane, "Hal Ashby," in Hollywood Renaissance (New York), 1977. Pollock, Dale, "Whatever Happened to Hal Ashby?" in Los Angeles Times , 17 October 1982. "Hal Ashby," in Film Dope (London), March 1988. Obituary in Ciné Revue (Paris), 5 January 1989. Obituary in Screen International (London), 7 January 1989. Pflaum, H. G., Obituary, in EPD Film (Frankfurt/Main), vol. 6, February 1989. Smoodin, E. "Art/work: Capitalism and Creativity in the Hollywood Musical," in New Orleans Review , vol. 16, no. 1, 1989. Salvagnini, Rudy, "Hal Ashby" (special issue), Castoro Cinema (Firenze), no. 154, July-August 1991. 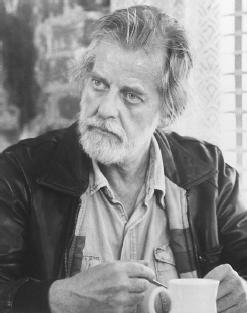 Hal Ashby had a reputation for showing a light touch as a director; he stated that he preferred to let the actors develop their characters. During the filming of Coming Home , for example, he threw out a script when actor Jon Voight envisioned one of the major characters differently than the screenwriter. The people in his films generally face choices in situations that reflect major social concerns. In The Landlord characters have to make decisions involving the issue of race; in Shampoo they must decide which side they are on in a complex political and sexual skirmish set in the turbulent summer of 1968; and in Coming Home , the effects of the Vietnam War force characters involved directly with the war as well as those at home to deal with unexpected changes in their lives. The solutions to decisions faced by Ashby's characters are never facile. In Harold and Maude , Harold gains some degree of maturity but loses the love of his life, Maude; the military police of The Last Detail give a prisoner a way to face life, but also deliver him to prison; while George in Shampoo realizes how empty his life is and appears to want to change it, but at the same time he has lost what chances he had for happiness. Ashby's experience as an editor is evident; he employed a wide variety of editing effects in his films. His use of both dissolves and rapid cutting to show the passage of time in The Last Detail serves as an example of his background. His predilection for varying editing techniques could explain in part an aspect of his filmmaking that Ashby himself admitted: he did not rely on a distinctive style, but rather attempted to adapt his style to the type and subject of each film. Though he has been called a "maverick director," Ashby's career garnered him a good deal of respect from the critics, and his films did well at the box office. Shampoo, Coming Home , and Being There represent his major financial successes, while the reputation of Harold and Maude was made in a slightly different manner. After an initial panning and a short general release, the film caught on in the Midwest, running in several theaters for over a year. The film has since become a cult favorite and has received positive critical response.